Let’s all take a break from all the stress and have fun this Christmas season! and the chance to win unique prizes!~ Proceeds will be donated to a chosen charity. Certificate of it, will be named after Mr. Lee Sungmin and will be sent to KONA! World Vision is a Christian relief, development and advocacy organization dedicated to working with children, families and their communities worldwide to reach their full potential by addressing the causes of poverty and injustice. World Vision strives to build thriving communities where peace and justice prevail and all can enjoy security, opportunity and happiness. World Vision works for the well-being of poor and vulnerable people through: Sustainable development.World Vision works alongside the disadvantaged communities, enabling them to use their own resources, capacities and potentials so that they can own and define their own development process and achieve healthy, fuller lives of dignity, justice and hope. Disaster relief. World Vision responds to life-threatening situations where its involvement is needed and appropriate. It seeks to protect vulnerable people, especially children amid difficult circumstances by providing emergency relief such as food, water, shelter, medicine and clothing, and preparedness for future disasters. Gathering, birthday party full of fun activities! Like last year event. Also the 3 lucky winners of the raffle will be announce here! 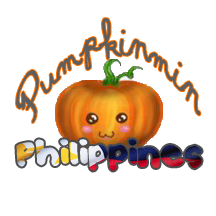 In line with the upcoming birthday of our one only Lee Sungmin, PumpkinMin Philippines is once again inviting you to come and join us for the 2nd Birthday Celebration entitled Trick or Treat Gathering. It will be held on December 22 at KFC E. Rodriguez from 1pm to 3pm. Entrance fee is 250 and will be already be inclusive of foods and freebies. You can buy tickets starting from December 1 (SFS Launch) to December 15. We will keep all our pumpkins posted!